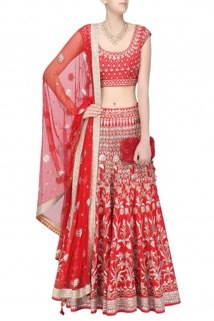 The wedding season is here and with it there are so many new outfit styles from crop top skirts, to lehengas, kurtas, shararas and more…the wedding outfit style sure has changed since the past few months. 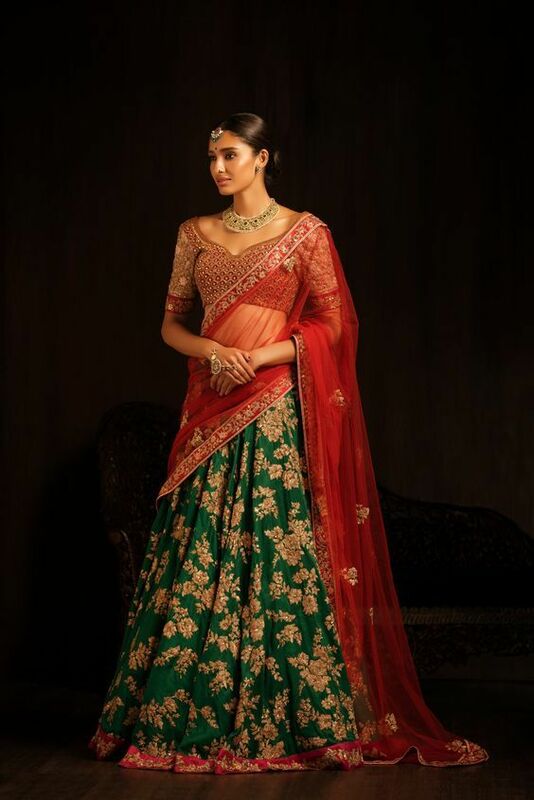 So in case, you’re a bride to be, planning your wedding and wondering which outfit style and which designer would suit your taste, I am here to help you with these 10 best bridal lehenga designers in India. 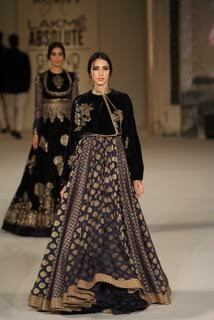 No list is ever complete without including the bridal couture master, Sabyasachi. 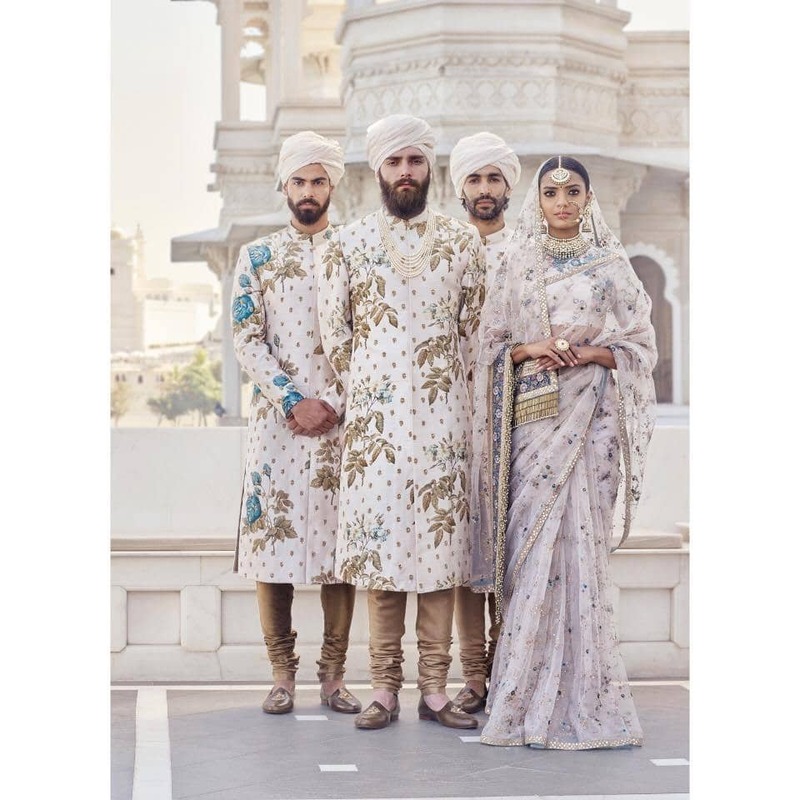 The latest collection, The Udaipur collection which is the spring couture 2017 for brides and grooms was unveiled on 25th February, and there has been a roar about the collection ever since. From saffrons to red, turquoise and ivory shade outfits, one can see an array of wedding outfits fit for everyone starting from the bride, groom to the family of the couple as well. The collection consists of tulle lehengas which are perfect for the sister of the bride look, and some gorgeous tulle embroidered sarees which are classic pieces to own. 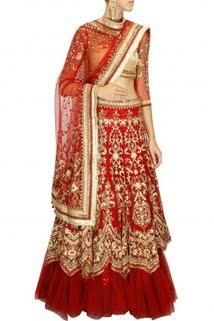 The designer has never failed to impress and is surely amongst the best bridal lehenga designers in India. If you’re wondering whether this designer is way too pricey, you might just be wrong. 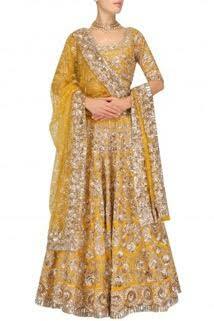 Want to know what a Sabyasachi outfit costs? From raw silk bridal lehengas ornamented with intricate Zardosi embroidery to floral pita embroidery, Shyamal & Bhumika’s latest bridal collection has something for every bride. In colour of red, maroons to dark plums and pinks…the collection is absolutely stunning. If delicate floral embroidery work in monotone lehenga colour is to your liking, then you’re going to love the designer duo’s collection. Check out the entire collection here. Anita Dongre showcased her latest collection at the Lakme Fashion Week Summer/Resort 2017. 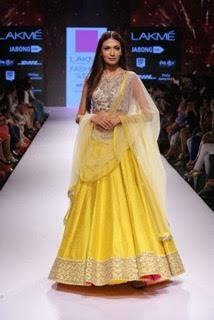 Her show was the finale show and had beautiful lehengas and anarkali lacchas in gold, ivory, and white. 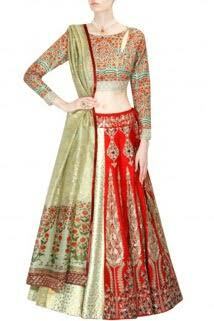 Her trademark gotta patti designs and motifs is a favourite amongst all brides to be. Her outfits are definitely priced on the premium side, but if you love the design, you have to deal with the price. 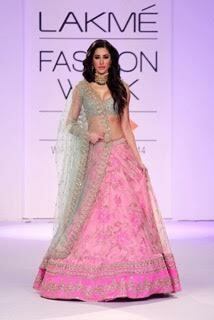 Now, who doesn’t love a Manish Malhotra Lehenga? We all know he is one of the best bridal lehenga designers in India and is favourite amongst several Bollywood stars and is soon becoming a hot favourite amongst brides as well. What I love about his collections are that every season he comes up with something very different, very fresh. 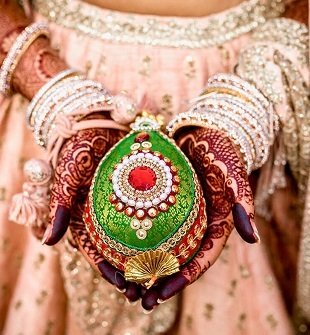 If you are looking for an Indo-Western or a modern version of pure Indian traditions then she is the right choice. A down to earth lady who has promoted long forgotten Indian craftwork in her fashion. Her work has been presented at the Hyères fashion festival in Paris, Lakme Fashion Week and Miami Fashion Week. Anju Modi has pushed boundaries with her latest project in Indian movies Goliyon Ki Raasleela – Ram Leela and Bajirao Mastani, both of them which featured Ranveer Singh and Deepika Padukone. She has also been nominated for Marie Claire’s ‘Best Indian Designer’ in 2010 and for Marie Claire’s made in India Awards – Special Honours category “Best Craft Revival”. 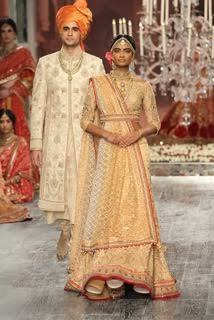 Tarun Tahiliani is an ace bridal couture specialist who has dressed up the crème de la crème of Bollywood celebrities. He is a regular on the Indian fashion circuit and is known for his extravagant bridal outfits. If you are looking to wear something extraordinary, one of a kind wedding outfit pieces, then Tarun Tahiliani needs to be your designer. 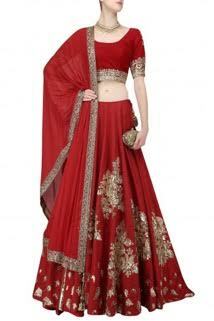 Rohit Bal is a popular couture designer quite famous in the fashion circuit. 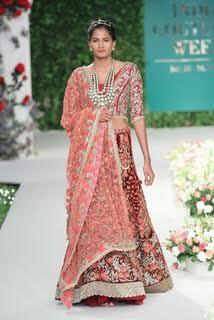 But off late, his wedding and especially bridal designs are becoming quite popular amongst the masses as well. 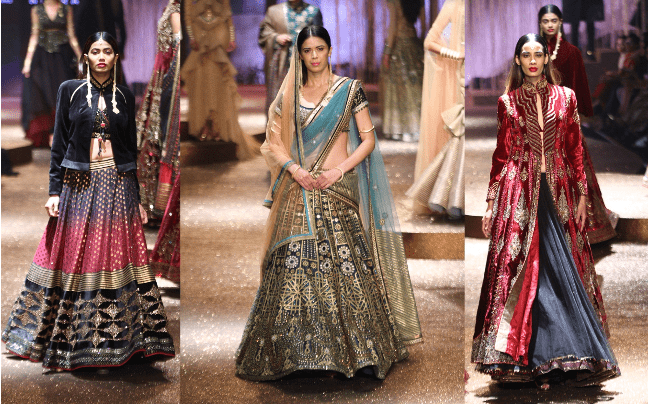 His last collection at Lakme Fashion Week titled “Koroshini” was a stunner show with an array of wedding lehengas, jackets, floor length Anarkalis taking the bridal fashion by storm. 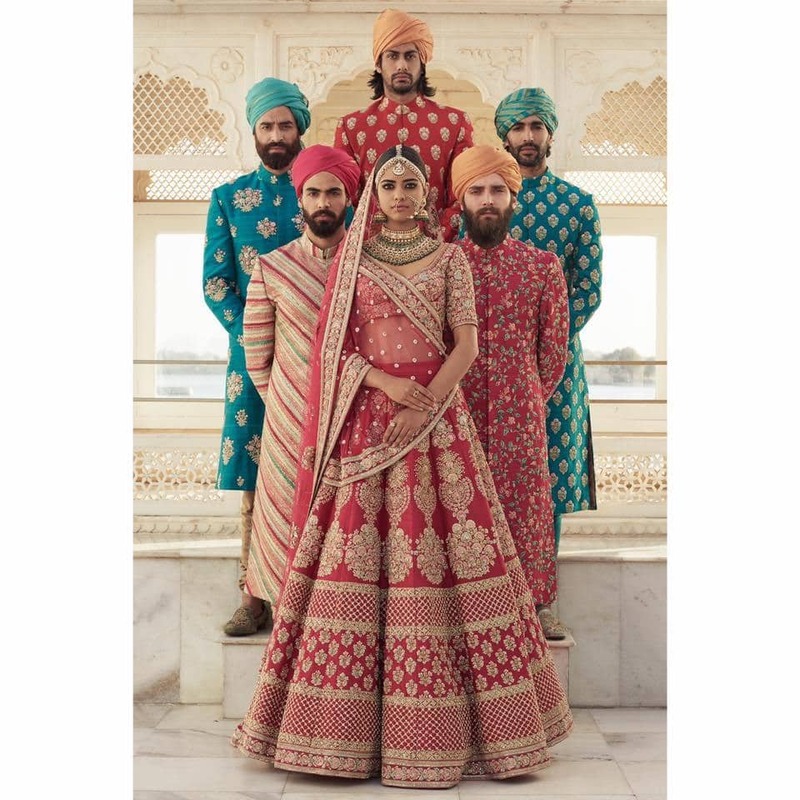 He is one of the crème de la crème designers out there, and if your budget is above 2 lakhs for a wedding lehenga, you should definitely check out his collection. 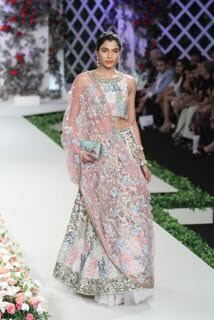 Anushree Reddy has taken the bridal fashion by storm. 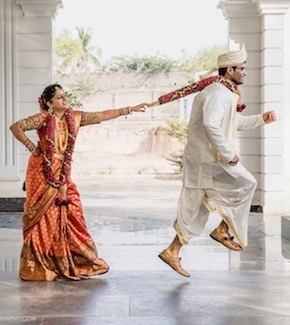 Ever since her trademark floral lehengas were showcased the first time, every bride’s desire is to wear her bridal outfits in one of their wedding functions. Not too expensive, and girly as hell, her outfits are perfect for preceding functions, sister of the bride look and even for the wedding main function look. Another handsome young designer based in New Delhi and a graduate of NIFT. Varun has embellished the works of Armani, a part of Kenzo Jungle, Jeans and Kenzo Paris, and Lacroix’s Bazaar and Jeans. Varun showcased his Spring Summer 2003 collection at White in Italy and was voted the ‘Best of Season’ from among 20 competing designers from different countries. Best known for his expertise in blending the classic with the contemporary, the antique with the new and innovative use of fabrics to create a dreamy love affair for today’s kind of customer- a reflection of elegance, avant-garde, non-conformist yet rooted in classics. Most of his clients swear his clothes are their heirlooms like jewelry because of their classic sensibility and incredible quality. His latest collection, the Vintage Garden was a floral paradise for brides. 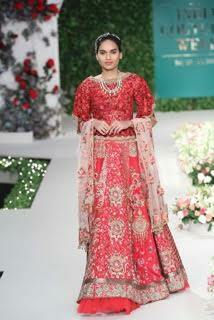 Some stunning couture designs on the ramp walk and these outfits were every bit royal as they can get. The above three are priced between INR 4, 50, 00 to INR 650,000. If you are looking for some Rajasthani and western fusion bridal fashion wear, then this designer gem from NIFT is the right choice for you. With his flagship store in Gurgaon, his collection is easily available for to-be-wed brides in Delhi and NCR. 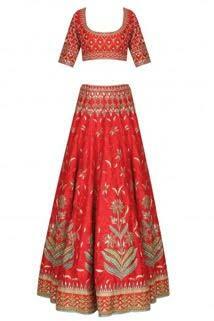 His price starts from INR 7000 to INR 1,00,000 or more for an Anarkali, saree or a lehenga. 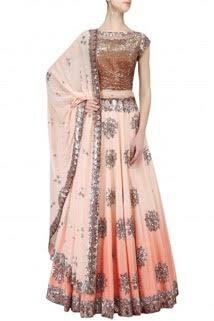 His brands include J J Valaya Muse, J J Valaya Couture, Valaya Base, Valaya Home and The Home of the Traveler. Valaya was a founder member of the Board of Governors of the FDCI and the first official brand ambassador for Swarovski, globally. 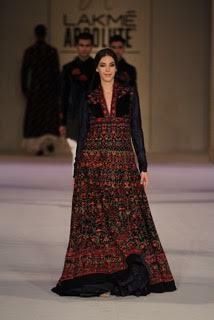 In 2011, Valaya’s Winter/Festive collection at Lakme Fashion Week titled TASVEER received positive reviews. The collection combined Valaya’s twin passions: photography and fashion. His clothes have been worn by various GCC royals and celebrities including Joseph Fiennes, Cate Blanchett, Hrithik Roshan and Kareena Kapoor. So check out these 10 best bridal lehenga designers in India and their wedding collection and rock your big Day with their amazing outfits. 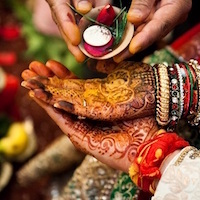 Namrata Sahu is the founder and editor of Frugal2Fab, a popular Indian Wedding Blog sharing inexpensive wedding inspirations for the Indian Bride. She is one of the few bloggers who gives ideas on how to have a fabulous (Pinterest-worthy) budget wedding.